There was a time when classroom subjects that touched on community health focused more on youths’ characters than their circumstances. In the 1980s, First Lady Nancy Reagan’s “Just Say No,” campaign encouraged them to be strong in the face of peer pressure and resist drugs. 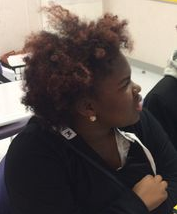 That was followed by DARE — Drug Abuse Resistance Education — a program that brought police officers into the classroom to admonish students to shun drugs. Yet, according to studies published in Scientific American in 2014, none of that worked. Instead, they fueled fears that led to new epidemics — such as the school-to-prison pipeline, mass incarceration and other things that have hurt struggling, mostly minority communities by treating drug abuse and mental illness as a crime and not as a sickness. 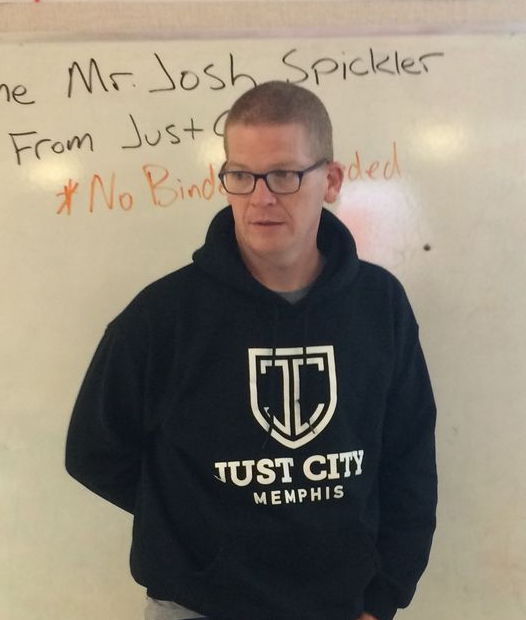 Which is why Andrew Vincent, who teaches lifetime wellness at Soulsville Charter School, recently had his friend, Josh Spickler, a former public defender who is executive director of Just City Memphis, explain all that to the 14-to-18-year-olds in his class. That’s because they need to know that those problems aren’t about character flaws as much as they are about systemic ones. “We are finishing up a chapter on mental health, and we’ve been looking at mental illness and substance abuse, but we’ve also been looking at how our government is treating it,” Vincent told me. And through his experiences, Spickler has seen that dynamic firsthand. “The theme of my presentation is that we have come to use the criminal justice system in America as a cure for things it was never designed to cure, things like drug addiction, mental illness and homelessness,” he said. “The result has been a contribution to the mass incarceration epidemic. Add to that fear-based sentencing and vengeance-based sentencing, and you get full prisons and full jails. So Spickler began his lesson with a display of a quote from Ta-Nehisi Coates, a national correspondent for The Atlantic magazine, which drove home the point about the failed system. He then delved into the history of public defenders’ offices, as well as how many African-Americans accused of crimes were often threatened or killed by lynch mobs before they got to trial, and how remnants of that same system of unequal justice exists today — especially when it comes to crimes rooted in drug addiction or mental illness. It’s a system that views celebrities like Robert Downey Jr., who struggled with drugs in the past, as sick, and people like one of Spickler’s clients, “Ray,” as a criminal. Ciara Fleming, 16, soaked up much of what Spickler was saying. Because for many youths, especially African-American youths like Ciara, it becomes easy for epidemics fueled by systemic failures, such as mass incarceration, to cause them to internalize self-hatred. That alone could have an effect on their esteem, and their emotional and mental health. So what Spickler talked about, and what Vincent tried to underscore, was that as the students work to avoid crime and drugs, they also have to work to make a difference in a system that treats the health of certain communities differently. A system that views people in those communities as deserving what they get for being too weak to just say no.